Ex Display.In excellent condition.Comes with all original packaging and full warranty. 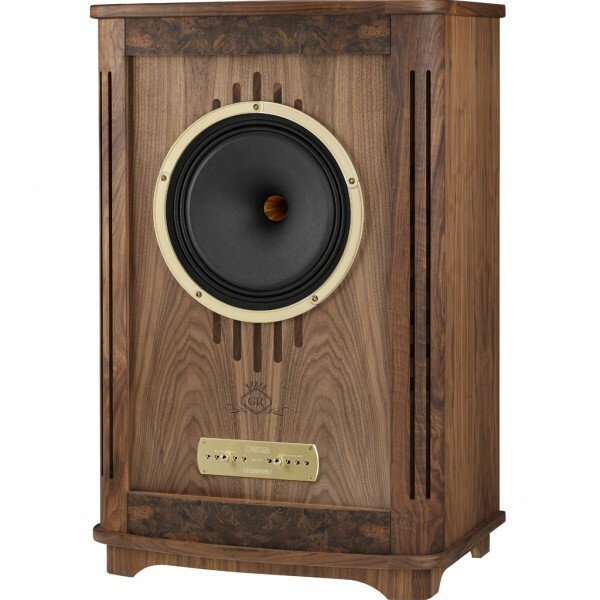 The Canterbury Gold Reference is designed for those who demand the power and passion of the 380mm (15 inch) Gold Reference Dual Concentric driver yet require a more compact loudspeaker than the magnificent Westminster Royal GR. The new 15 inch Gold Reference driver is TANNOY’s most powerful and articulate Dual to date, boasting an incredible 600 watt peak power handling and offering over 96dB efficiency in the 235 litre Canterbury GR cabinet. The legendary 15 inch Dual has been upgraded extensively for the Gold Reference series with many of the enhancements being ‘trickle-down’ technology from TANNOY’s flagship Kingdom Royal development project. The low frequency section of the GR driver has a new fibre enriched paper pulp cone material to realise further improvements in the cone’s mechanical characteristics. The cone is terminated with a twin roll surround of impregnated fabric for improved damping characteristics. The Canterbury GR’s HF unit marks a significant leap forward in the technology and performance comprising a new aluminium-magnesium alloy compression driver diaphragm that has been heat treated to further improve it mechanical integrity under HF loads. The use of new Mylar surround materials offer improved damping and motor cooling, resulting in exceptional clarity and articulation throughout the HF range. Capable of high-volume listening without fatigue, the Gold Reference Dual brings even greater naturalness and presence to the TANNOY Canterbury loudspeaker. Dual Concentric™ low frequency:	380 mm (15”) with paper pulp cone and twin roll impregnated fabric surround.52 mm (2”) round wire voice coil. Type: Bi-wired, hard wired passive, low loss, Time compensated. 2nd order low pass. 2nd order high pass. Finish:	High density birch ply, walnut veneered, with solid walnut trim, 25 mm (1”) thick front baffle. Internally cross braced and heavily damped.